Bei der Nutzung unserer Webseite stimmst du dem Gebrauch von Cookies zu. Mehr Informationen - Ok, verstanden! Even though Stephanie won the experience, she gave it to her friend David. 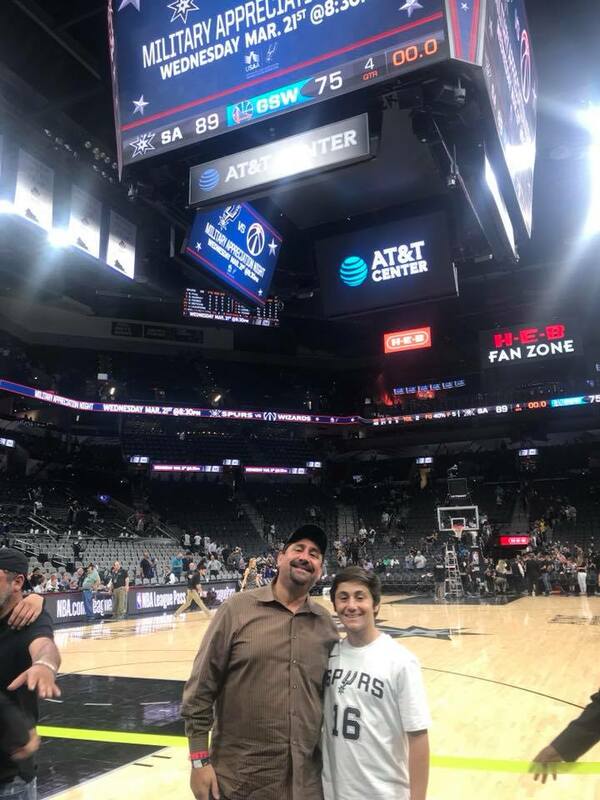 As he says, “it was a once in a lifetime experience in which we watched Pau and his team at the pre-game, the game and also chatted with him”. The experience was part of a charity sweepstake which Pau Gasol held in favor of the TESS Research Foundation focused on providing visibility and resources to the genetic disorder SLC13A5. How would you describe the experience with Pau Gasol? It was such a gentleman, more than I could imagine. He is kind, smart and really cared about spending time with us. Which one is the most special memory of the entire experience? The entire experience was once in a lifetime. The organization was perfect and we met Pau as soon as he entered the Arena for the pre-game. We also had the chance to watch the press conference and spend time with Pau after he showered and dressed after the game. What is the first thing you explained to your family and friends when you got home after living the experience? We had a great time! We were treated like celebrities and we had the chance to spend time with a legend such as Pau Gasol. Would you like to win the experience of your dreams? Noch keine Kommentare. Schreibe den ersten Kommentar! Probleme beim Einloggen? Kontaktiere uns!